Standing 30" tall, the Patio Smokers Outpost is designed for seated areas. 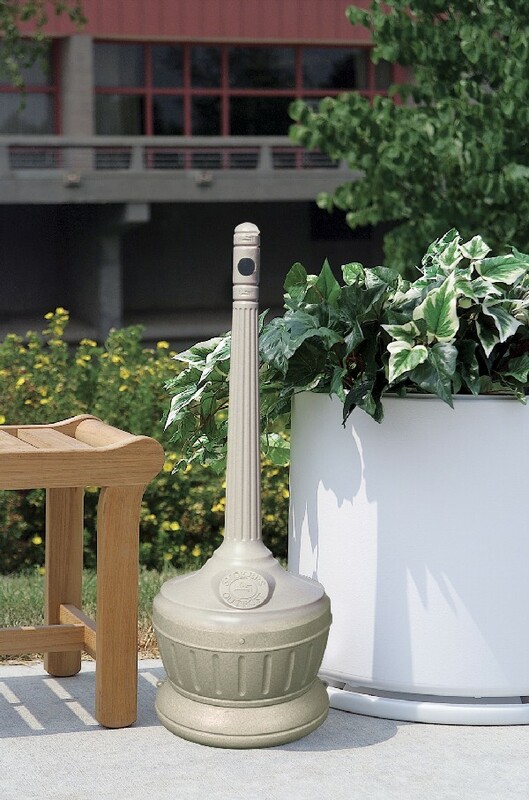 Ideal for outdoor patio, porch or deck locations. Perfect next to a bench or table. Also a great gift idea for the home. Available in Sand Granite Beige only. Easy to clean! Just unscrew and lift top to empty galvanized pail liner. (included).